Umbrella trees, giant mushrooms, and tiny museums. 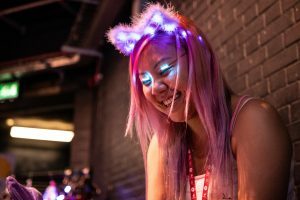 A light-up Lovelace, LED cubes, LED eyelashes, and LED coding (we have a bit of a thing for LEDs). Magic cocktails, melted ice creams, and the coolest hot dog around. 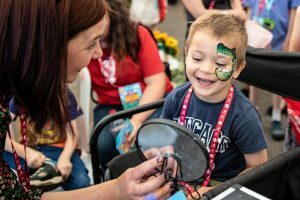 Face paint masterpieces, swag bags, and bingo. More stickers than a laptop can cope with, a flock of amazing volunteers, and it all ending with an exploding microwave! This can only mean one thing: Raspberry Fields 2018. Subscribe to our YouTube channel: http://rpf.io/ytsub Help us reach a wider audience by translating our video content: http://rpf.io/yttranslate Buy a Raspberry Pi from one of our Approved Resellers: http://rpf.io/ytproducts Find out more about the Raspberry Pi Foundation: Raspberry Pi http://rpf.io/ytrpi Code Club UK http://rpf.io/ytccuk Code Club International http://rpf.io/ytcci CoderDojo http://rpf.io/ytcd Check out our free online training courses: http://rpf.io/ytfl Find your local Raspberry Jam event: http://rpf.io/ytjam Work through our free online projects: http://rpf.io/ytprojects Do you have a question about your Raspberry Pi? 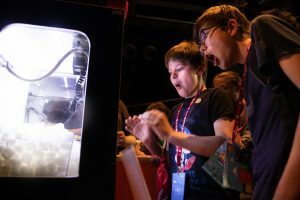 On 30 June and 1 July, our community of makers, vendors, speakers, volunteers, and drop-in activity leaders impressed over 1300 visitors who braved the heat to visit our festival of digital making at Cambridge Junction. 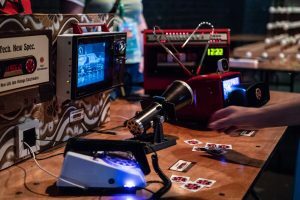 Our mini festival was both a thank you to our wonderful community and a demonstration of the sheer scale of support and ideas we offer to people looking to get involved in digital making for the first time. 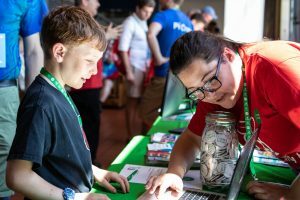 Our community of makers came out in force at Raspberry Fields, with shops, hands-on activities, installations, and show-and-tells demonstrating some of the coolest stuff you can do with a Raspberry Pi and with digital making in general. Many visitors we spoke to couldn’t believe some of the incredible creations and projects our community members had brought along for them to learn about and play with. 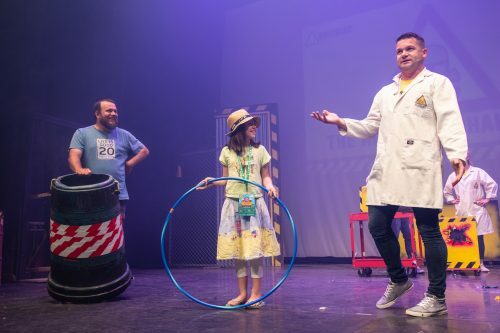 Over the weekend, we had 29 talks on two stages, with our community speakers coming from all over the UK, as well as France, Germany, Korea, Japan, and Australia! 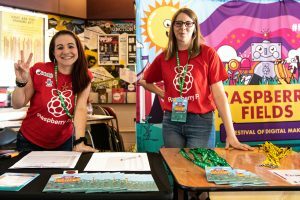 Their talks covered a fascinating range of topics such as volunteering with our coding clubs, digital inclusion, drones, wildlife conservation, and so much more! If you missed any of the speakers, don’t worry: we will be uploading talks to our Youtube channel for everyone to see. 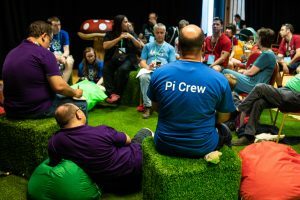 We rounded off the two days with three smashing performances: on Saturday, the fantastic Neil Monteiro showed off some of the awesome things you can do with an Astro Pi at home. 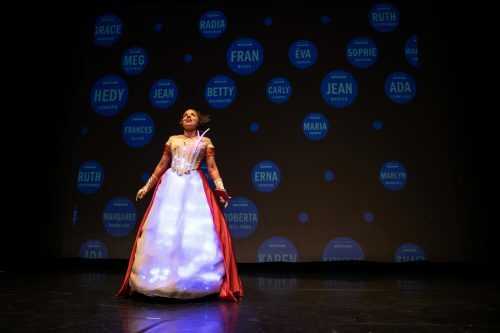 He was followed by the outstanding Ada.Ada.Ada., in which Ada Lovelace, kitted out in an epic tech-covered dress, taught people all about her programming legacy. Sunday’s finale brought the mischief of Brainiac Live! 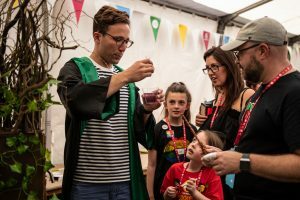 to Raspberry Fields: the Brainiacs showed us just how much they laugh in the face of science, before providing us with the explosive finish every good festival needs! 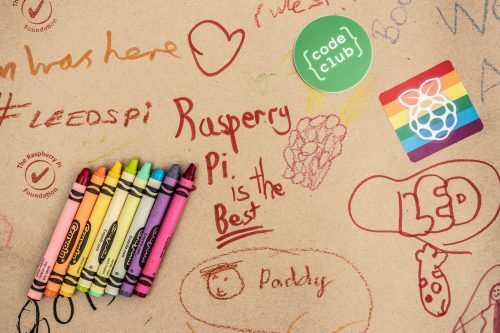 A whopping 60 community members came and helped us out, many of whom had never volunteered at a Raspberry Pi event before! Our festival of digital making would not have happened without these lovely people willing to give up some of their precious weekend to ensure that everything went off without a hitch. The volunteers were doing everything from greeting and registering guests as they arrived, handing out swag bags, and stamping bingo cards, to giving directions, helping out with activities, and managing our two stages. They were absolutely fantastic, and we hope to see them all again at future events! Raspberry Fields was just a taster of what is going on around the world every day within the marvellous Raspberry Pi community at Raspberry Jams, Code Clubs, CoderDojos, Coolest Projects events, or at home, where people use our products and free resources to create their own projects. 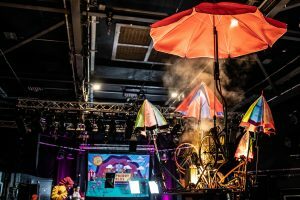 If our festival has made you curious, then dive in and join the amazing people that have made it possible! 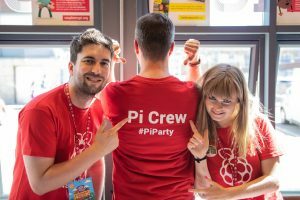 The whole Raspberry Pi team is hugely grateful to all our community members who helped out in some way with Raspberry Fields, as well as to all the staff at Cambridge Junction, who were so open and friendly, and happy to let us taking over the whole venue for a weekend. We would like to say a massive thank you for making the event so much fun for everyone involved, and for being so welcoming to everyone who took part! We look forward to seeing all of you at upcoming events! 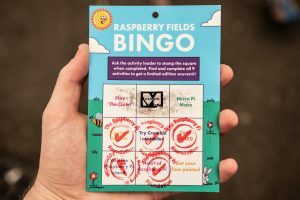 The post Raspberry Fields 2018: ice cream, robots, and coding appeared first on Raspberry Pi. 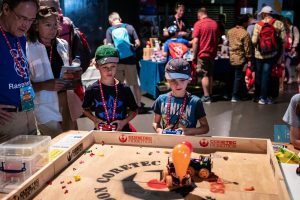 This entry was posted in Raspberry Pi, Uncategorized and tagged IFTTT, Raspberry Pi on July 12, 2018 by David.